We here at The Final Turn stood true and firm to see home these two brave young soldiers. 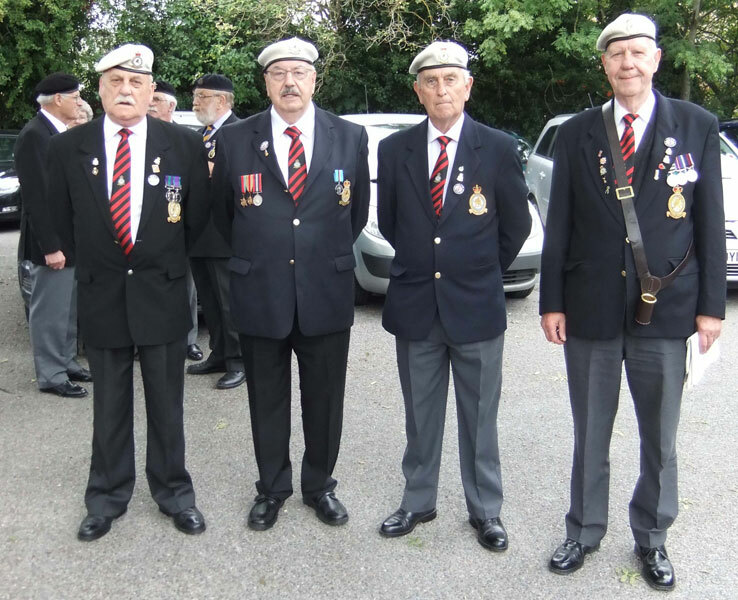 There were six Royal British Legion standards: Bicester, Bicester & Launton, Bloxham, Islip, Kidlington, and Wheatley. 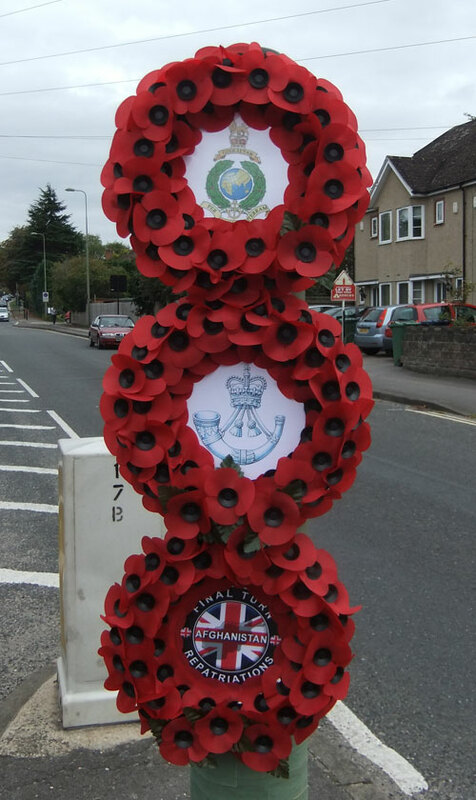 Association standards included: The Coldstream Guards, Canal Zoners (Oxon), Guards Dvision (Newbury), Household Division (Banbury), The Parachute Regiment (Oxon), RAF Police, and The Banner of The Royal Dragoon Guards. Also attending were Andrew Smith MP, The Very Rev. 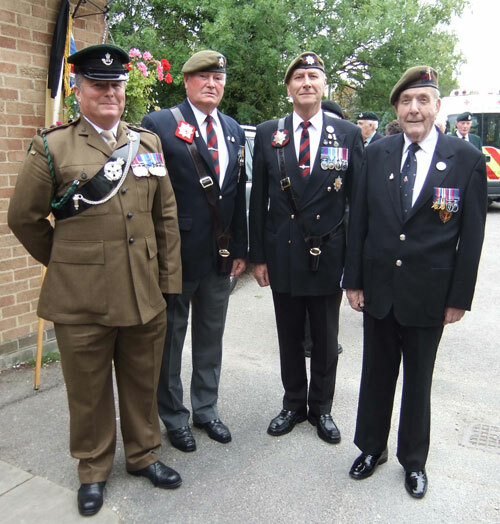 Robert Wilkes, Colonel (Retd) B. Duncan MBE, Royal Tank Regiment, and Lt Col (Retd) D. Mead TD. 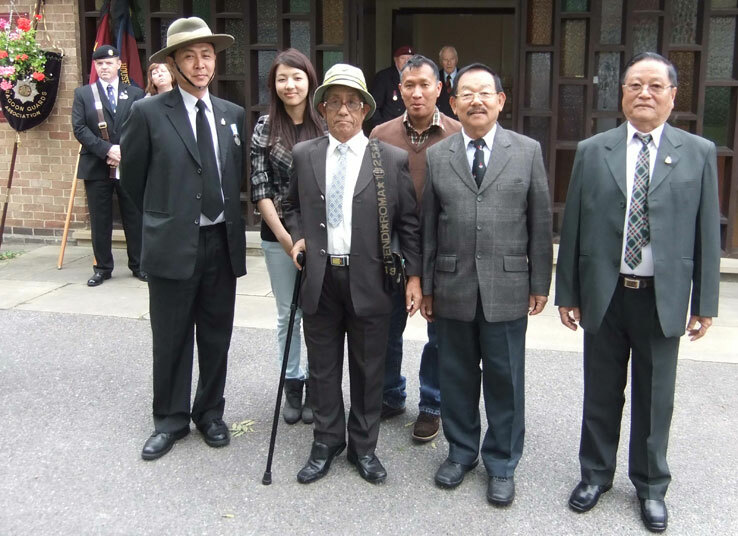 There were 45 veterans in berets and medals, as well as 30 others from all three services. 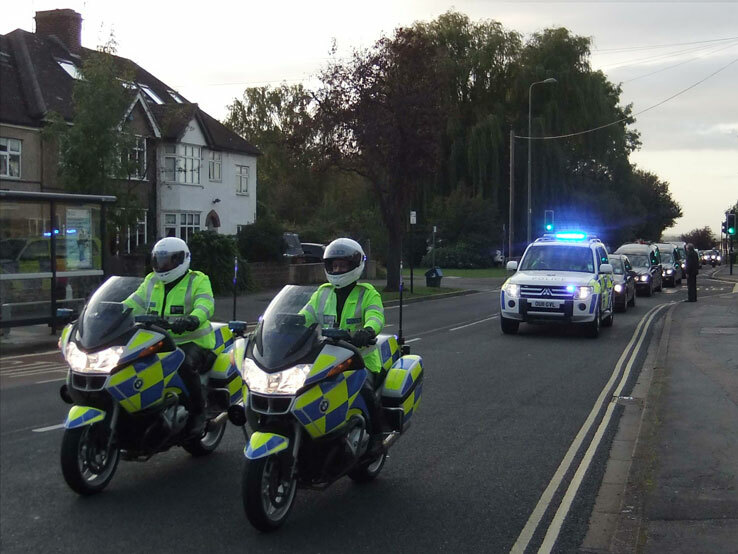 The Thames Valley Police were out on their normal duties, as well as parading alongside us, under the command of Chief Inspector Cecilia Agger. 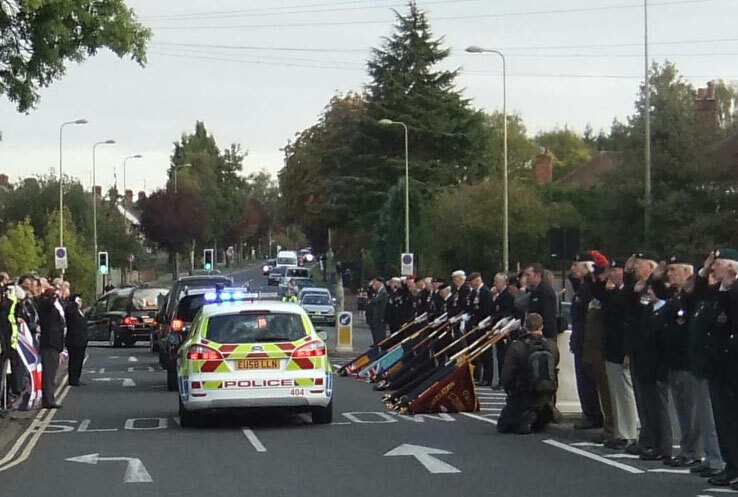 Also from Thames Valley Police was Graham Choldcroft (Chaplain) There were about 350 members of the Oxford public at the Final Turn, and as always many more along the ring road coming into the Marston area and up Headley Way to us at the Final Turn. Many held Union flags and it was nice to see the flag of Ulster again. There was a Red Cross support vehicle and a St John’s Ambulance, both with crews. Mary and John from the church were there, John having half masted the Union flag early in the morning. Once again our good ladies helped with the tea and coffee, etc. and clearing away afterwards. Once again we thank Father Aldo from the church for use of the washrooms and car park. We would also like to thank RBL Biker Doug Dickenson who paraded at Carterton earlier and came straight over to be with us again at the Final Turn. I also thank Mike Townsend (RBL) who helped me put this list together. 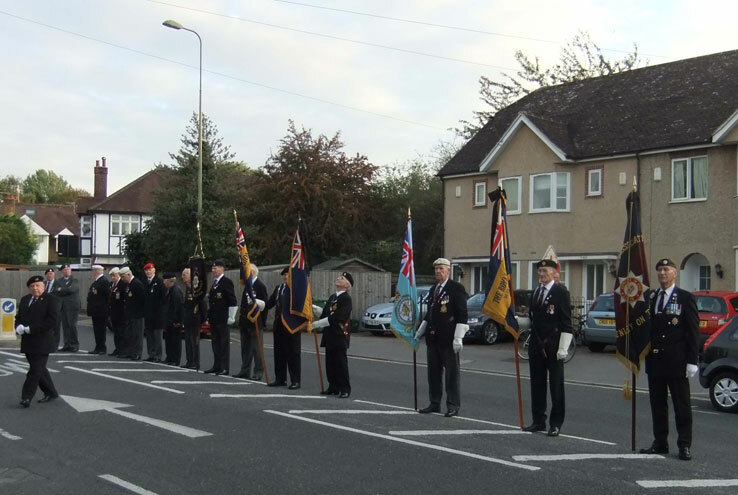 To date this was the 120th repatriation parade here at The Final Turn and we have seen 250 brave service personnel pass us by. The weather was sunny and warm. 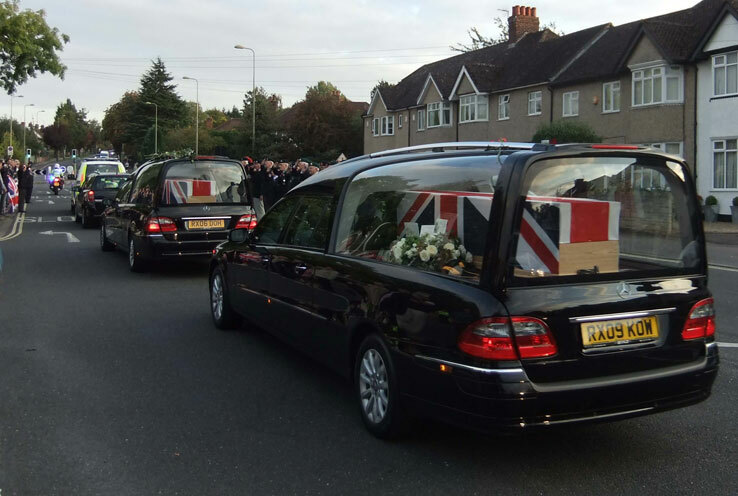 The cortege passed at 1835hrs. 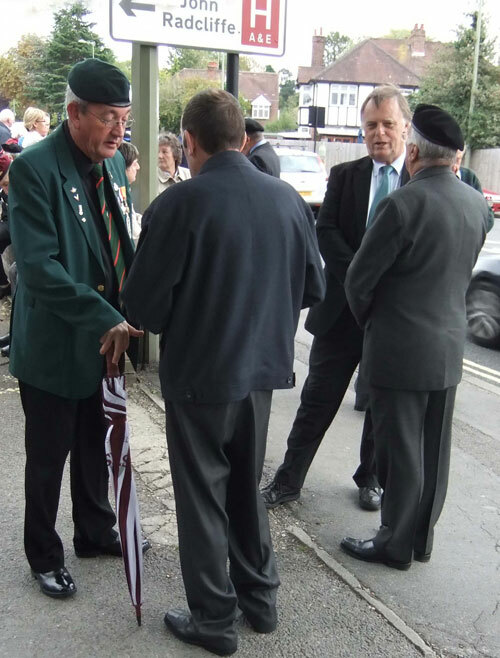 The parade marshal was Graham Whelan (former Para) and his 2 i/c was J. Lewendon (former RA).